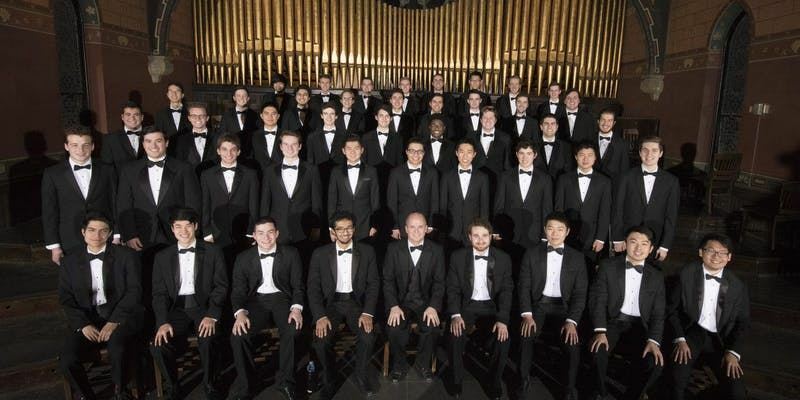 The Cornell Glee Club celebrates 150 years with a national tour. The program will feature classical favorites and contemporary tunes. Praised by The Washington Post for its “virtuosic choral sounds”, the Cornell University Glee Club has come a long way from its origins as the Cornell Glee, Banjo, and Mandolin Clubs. On its national tour, the club continues its preeminent role as a leader in collegiate choral singing as it celebrates an august past and bright future. The concert program will feature both classical and contemporary men’s choral music, including this year’s commission from the Thomas A. Sokol Commissioning Endowment. The Glee Club’s a cappella subset, The Hangovers, will also perform a few pop favorites, and the program will close with beloved Cornell Songs including the Evening Song and Alma mater. Alumni will be invited to share the stage with the current CUGC in singing classic Glee Club standards and the Cornell songs. Interested in helping make the tour possible and interacting with some of the guys? Consider hosting a Glee Clubber for one night (Jan 14, 2019)! Fill out this survey to express interest and learn more.